"The allegations are false and socially irresponsible during a time when many Americans are celebrating equality," Lee Hutton told TMZ. SEE MORE: Tyga Exposed For Cheating On Kylie Jenner With Transwoman. Mia Isabella has two dogs. 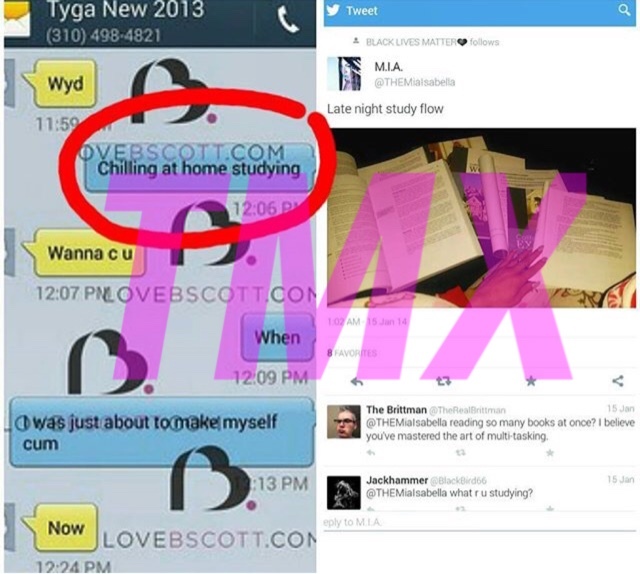 In one of the leaked screen shots when asked what she was doing allegedly by Tyga she responded she was with her "pups". Here she's discussing an adult entertainment event she will be attending that week. Remember Tyga's Lawyers says the entire leaked text story was fabricated but here she is above attending the event. 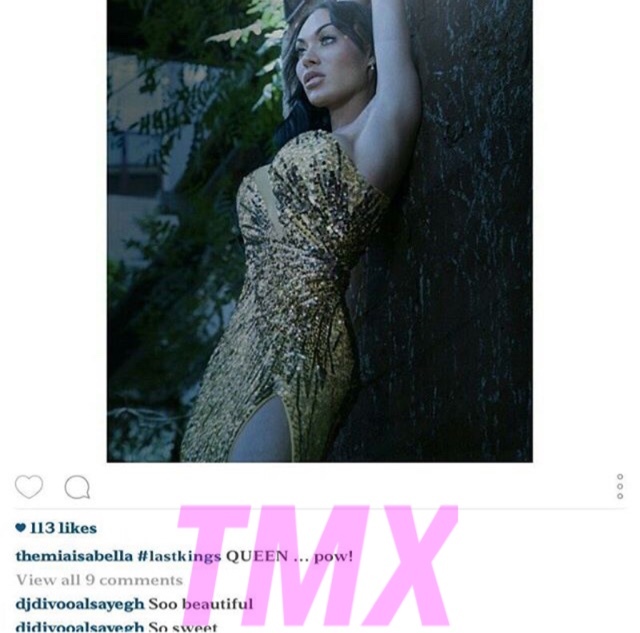 Via Mia Isabella's official Twitter account. Living location confirmed over 68 weeks ago. 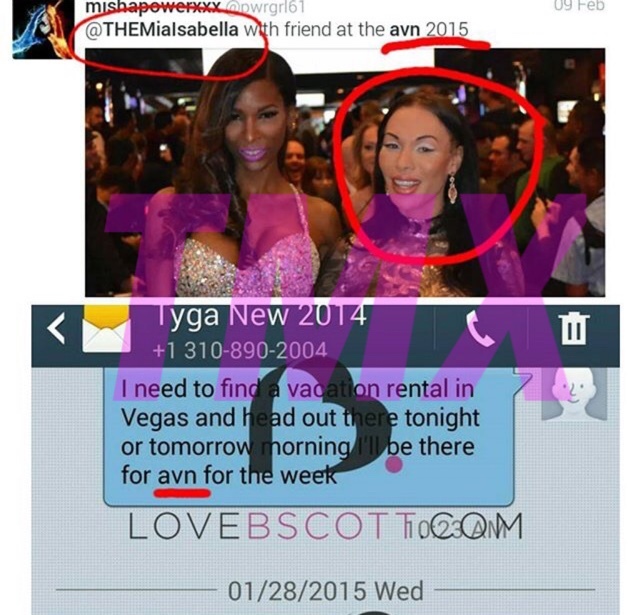 In previous text Mia claimed if news ever broke about her relationship with Tyga she would claim it was business related. 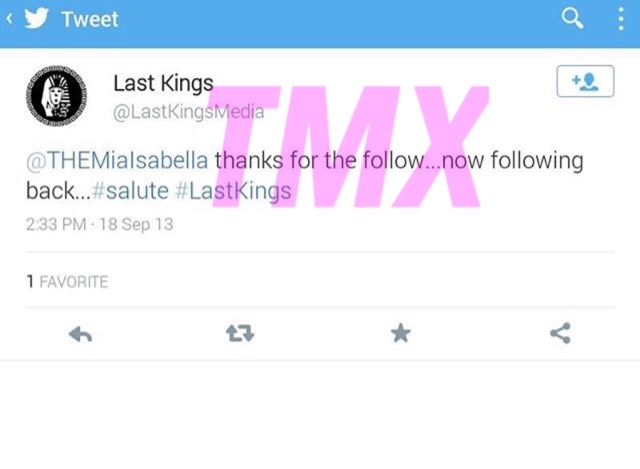 Here's the Last King's [Tygas] company interacting with Mia on Twitter back in 2013. Remember they've allegedly been messing around for nearly 3 years. Last Kings hashtag uploaded 55 weeks ago. Here Love & Hip Hop's Mally Mall is seen asking Mia to follow him back on Twitter. In a screen shot of text messages she claimed Mally Mall was coming onto her and she questioned if Tyga told him about their relationship. Back in 2013 a random user questioned their relationship.